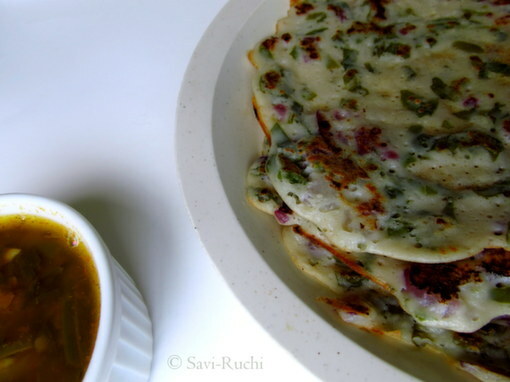 Dosa or Dosai is an everyday affair for most of the South Indians. We always keep the batter in our refrigerator. I have mentioned a zillion times before that it's mostly dosas for breakfast at my in-law's place. My mom-in-law makes sufficient dosa batter for all of us. We would be around ten people at home & we all take turn in preparing the dosas. 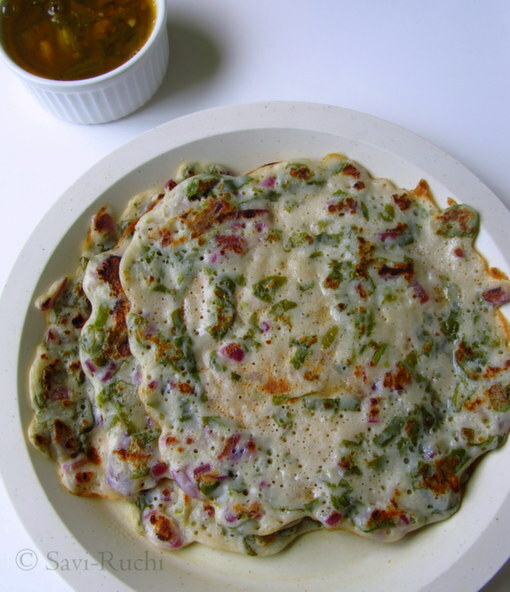 When she feels, the batter would be short for one or two people, she immediately comes up with some innovative ideas to increase the dosa batter. Here are some of her ideas. 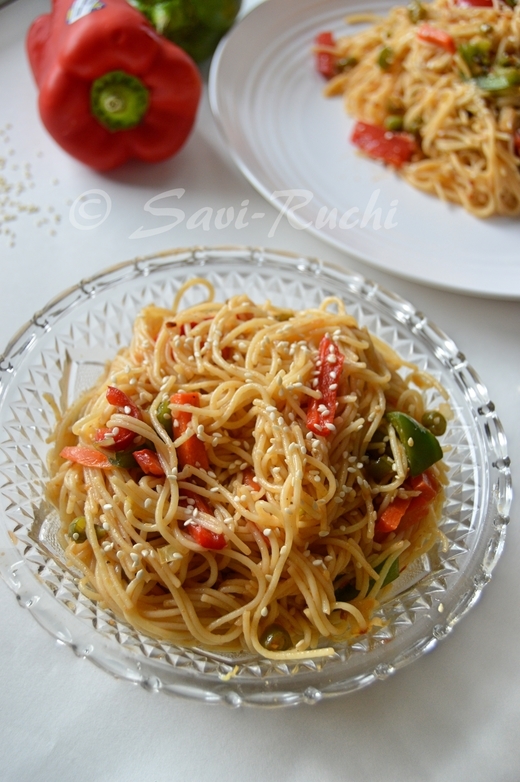 Add finely chopped onions, bell peppers, some grated carrots, grated ginger & chopped coriander leaves. Mix some urad dal powder & rice powder to the batter. Adjust the consistency. Prepare dosas. Make uppu huli dose (recipe will be up soon) using any greens. Add few tablespoons of rice flour, finely chopped spinach & onion. Adjust the consistency & make dosas. Oil: few drops for each dosa. Heat the skillet. 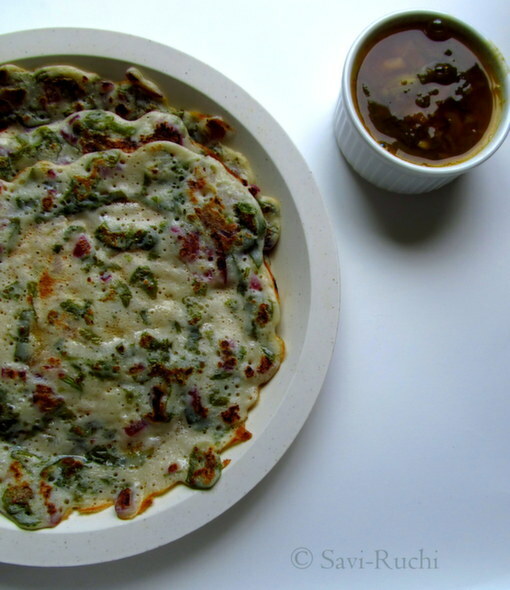 When hot, make dosa (refer to the video below). I normally cook the dosa covered for about a minute on medium heat. Then flip the dosa & cook it on the other side for about 30 secs. 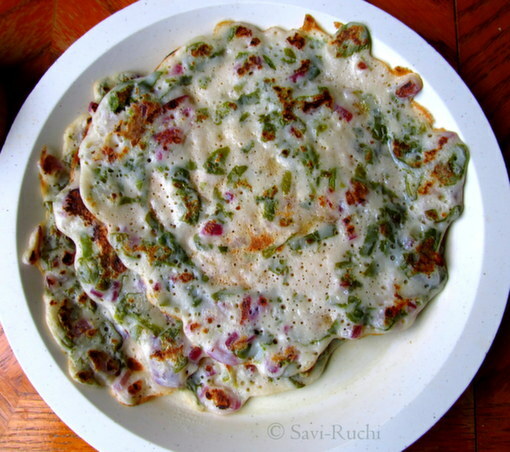 Remove the dosa from the skillet & repeat the procedure. I had less batter. So, I added some rice flour to increase the batter. You don't have to add rice flour if you have enough dosa batter. Also, the above mentioned measurements are eyeballed. Use this as a reference to make your own! Hi. That's one healthy dosa. I saw that u left a comment regarding hosting Sept'13 only event. Pls mail me your interest at cookingoodfood@gmail.com. Also, let me know which other month do u find interesting or convenient.